"For goldsmiths, collectors, jewelry-makers, investors, retailers and consumers." The trade of gemstones is a highly specialized and often secretive business. 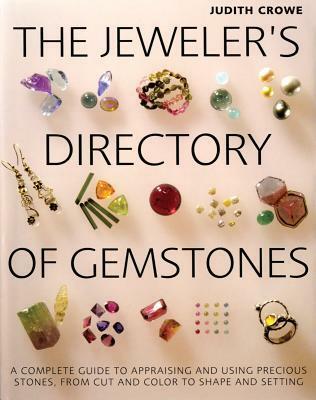 Using The Jeweler's Directory of Gemstones, written by an expert gemstone dealer and designer, will provide any consumer with the insider knowledge needed to make accurate judgments of gemstones, to recognize low- and high-quality stones, and to make a good buy rather than a bad one. Each full-color spread is packed with concise text, annotated drawings and beautiful photographs, including a showcase of virtuoso jewelry designs. Great for informed consumers, the book includes: Sources and grading Traditional and modern settings Cutting and faceting Designing a special setting Gemstone groups Appraising, buying and handling gemstones Diamond types and pearls Spotting synthetics and fakes. Here is a sampling of the practical insider information in this book: Using a loupe to examine a stone Understanding laser cutting and carving Identifying synthetic diamonds Buying at gem fairs and from dealers Cleaning and storing stones. No other book has this kind expert advice -- up-to-date, clearly presented and fully illustrated -- on evaluating and using gemstones.